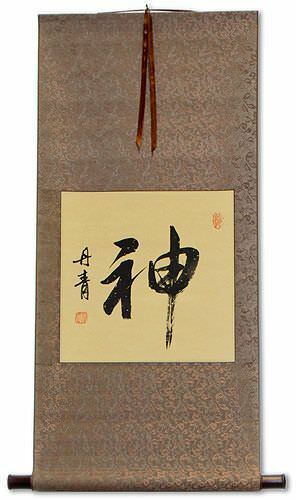 Buy an Essence calligraphy wall scroll here! 精髓 / 精髄 is the Chinese, Japanese Kanji, and old Korean Hanja for essence. This can also be translated as marrow, pith, quintessence, kernel, spirit, etc. This often refers to the nature or basis of whatever element, plant, animal, being, person, or thing you are talking about. Not the results for essence that you were looking for? Vitality; also the pure and spiritual, the subtle, or recondite. 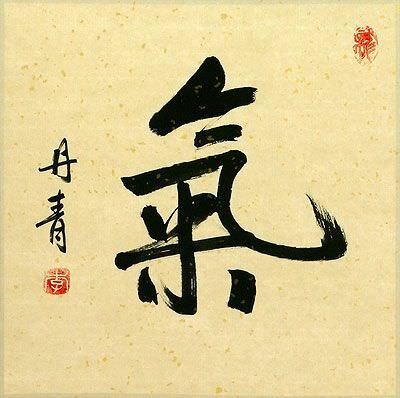 A particle of finality, pronounced yi, used in 矣栗駄 hṛd, the heart; the essence of a thing. 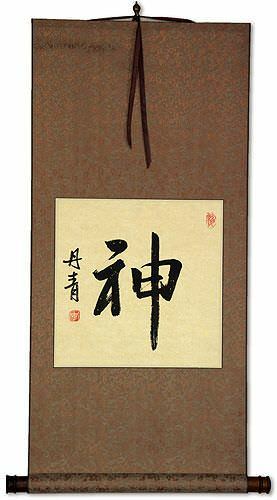 Cleaned rice, freed from the husk, pure; essential, essence, germinating principle, spirit; fine, best, finest. Vairocana, or Mahāvairocana 大日如來; 遍照如來; 摩訶毘盧遮那； 毘盧遮那; 大日覺王 The sun, "shining everywhere" The chief object of worship of the Shingon sect in Japan, "represented by the gigantic image in the temple at Nara." (Eliot.) There he is known as Dai-nichi-nyorai. He is counted as the first, and according to some, the origin of the five celestial Buddhas (dhyāni-buddhas, or jinas). He dwells quiescent in Arūpa-dhātu, the Heaven beyond form, and is the essence of wisdom (bodhi) and of absolute purity. Samantabhadra 普賢 is his dhyāni-bodhisattva. The 大日經 "teaches that Vairocana is the whole world, which is divided into Garbhadhātu (material) and Vajradhātu (indestructible), the two together forming Dharmadhātu. The manifestations of Vairocana's body to himself―that is, Buddhas and Bodhisattvas ―are represented symbolically by diagrams of several circles ". Eliot. In the 金剛界 or vajradhātu maṇḍala he is the center of the five groups. In the 胎藏界 or Garbhadhātu he is the center of the eight-leaf (lotus) court. His appearance, symbols, esoteric word, differ according to the two above distinctions. Generally he is considered as an embodiment of the Truth 法, both in the sense of dharmakāya 法身 and dharmaratna 法寳. Some hold Vairocana to be the dharmakāya of Śākyamuni 大日與釋迦同一佛 but the esoteric school denies this identity. Also known as 最高顯廣眼藏如來, the Tathagata who, in the highest, reveals the far-reaching treasure of his eye, i.e. the sun. 大日大聖不動明王 is described as one of his transformations. Also, a śramaņa of Kashmir (contemporary of Padma-saṃbhava); he is credited with introducing Buddhism into Khotan and being an incarnation of Mañjuśrī; the king Vijaya Saṃbhava built a monastery for him. Some people may refer to this entry as Essence Kanji, Essence Characters, Essence in Mandarin Chinese, Essence Characters, Essence in Chinese Writing, Essence in Japanese Writing, Essence in Asian Writing, Essence Ideograms, Chinese Essence symbols, Essence Hieroglyphics, Essence Glyphs, Essence in Chinese Letters, Essence Hanzi, Essence in Japanese Kanji, Essence Pictograms, Essence in the Chinese Written-Language, or Essence in the Japanese Written-Language. 40 people have searched for Essence in Chinese or Japanese in the past year.